Under Armour has come out all guns blazing at CES 2016. Not only has the US sports giant revealed the HealthBox platform, complete with the new UA Band, it has also teamed up with Harman to launch the Under Armour Headphones Wireless Heart Rate. The sporty buds, co-branded with JBL, are like the Jabra Sport Pulse - in that a heart rate monitor is build right into one of the ear pieces. With a touch of a button, a wearer is able to take their bpm reading and, of course, the wireless headphones sync up with Under Armour's hugely popular (and just updated) UA Record platform. Purchasers of the UA Headphones Wireless Heart Rate (we still can't believe they couldn't come up with a more catchy name) also get a 12 month subscription to MapMyFitness, which is also UA Record compatible. The earbuds connect to your smartphone using Bluetooth 4.1 and battery life is touted at 5 hours. 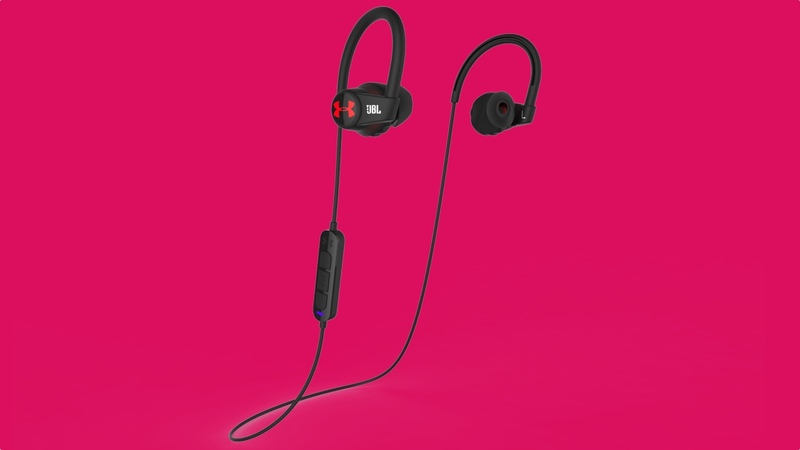 They are sweat-proof (IPX 5) and feature JBL's Twistlock and Flexsoft tech for comfort and twisty-cable avoidance. There's a non heart rate version too, but we don't really care about that, do we? Pre-orders are open now Stateside, with the new connected headphones costing $250.